It’s a night most girls look forward to throughout high school. New dresses and shoes and jewelry, oh my! But with Yahoo Style’s 2017 Prom Across America survey showing the average price of a prom gown in the western portion of the country costing $202, what about the girls who can’t afford a dress, let alone shoes and accessories? Enter Estrella Mountain Community College’s Future Teachers Club (FTC). The FTC is making sure that every girl who wants to go to prom will have that opportunity, but the club needs your help. Donations of dresses, shoes, and accessories, as well as volunteers, are needed to make sure this year’s event, set for March 2, is even bigger and better than last year’s. 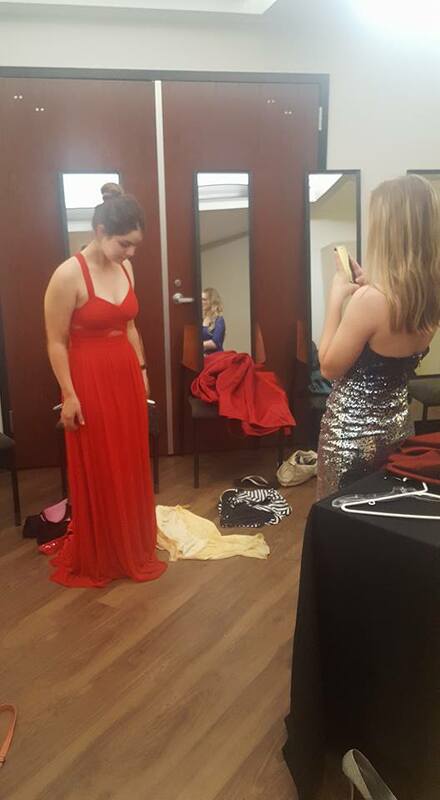 The Prom Dress Extravaganza, which started as a somewhat impromptu event, offers donated gowns, shoes, and accessories to high school girls in need. “We want to make sure that no one misses out on this special day because of financial constraints,” Student Services Analyst Landis Elliott said. Director of the Teacher Education Institute Rachel Holmes came up with the idea while shopping for her daughter’s prom dress. She only had about three weeks to put it all together, but NAU Student Service Coordinator Deeda Webster, who was recruited to decorate and set up for the event, said she never doubted Holmes could pull it off. In just a few weeks time, donations were collected, the space was reserved, high schools were contacted, and volunteers were recruited. In the blink of an eye, Plaza Gallery was transformed into a formal dress boutique. Forty-seven girls from eight different high schools attended the invitation-only inaugural event. 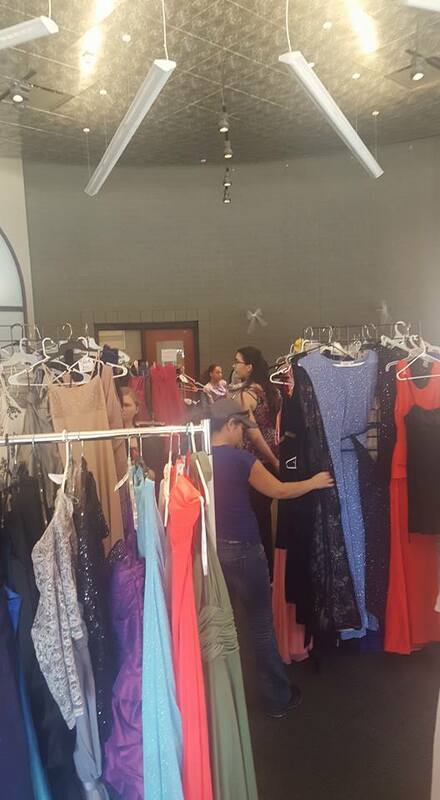 The girls had more than 300 prom dresses and 100 pairs of shoes to choose from, not to mention countless accessories. Holmes said she was speechless at the donations that came in faster than she could count, and that watching her FTC students steaming gowns weeks in advance and seeing their excitement as they prepared for the event literally brought her to tears. The Extravaganza could not have been possible without the help from countless volunteers, Holmes said. Administrators from Tolleson Elementary School District donated steamers; Grand Canyon University provided refreshments; EMCC’s Career and Transfer Center provided hairstyling; community members donated gowns; and students and staff volunteered in other areas such as registration, steaming and hanging dresses, and decorating. This year’s event aims to outfit more than 100 girls. All sizes are needed, but plus-size dresses and shoes in sizes 9-12 are in greater demand. The FTC is accepting donations through February at Mariposa 118 and the Career and Transfer Center. If you would like to volunteer, contact Holmes at rachel.holmes@estrellamountain.edu.